USB Disk Security helps protects your USB Disk. Which is now considered as the most useful data storage device used by almost 90% of the world’s population because of its portability, capacity and reliability. However, the rise of its popularity made it as the primary target of the bad guys out there. Exploiting its autorun capability to distribute viruses in no time. Thus, damage everyone’s important data and worst, it can put one’s business at risk. Well, the good news is, there are a number of Free USB Disk Security software that will help you protect your USB Disk. Below is one of the best USB Disk Security 6.5 from ZbShareware also known us USB Guard. What USB Disk Security can do? To prevent unauthorized individuals from copying files from your computer by simply activating USB Access Control. Then by locking USB Drive Control, it helps you to disallow any person from connecting their USB Disk in your PC. Disk Cleanup (removes unnecessary files from the temporary internet directory). Auto Start listings (This will show all your start-up applications) from where you can remove or add start-up applications. This will enable you to check a URL or website, if it is safe to visit or not. I suggest to use VirusTotal, it gives better result than the other URL scanner. This is not a problem with USB Disk Security. Any antivirus is compatible. I tried Avast, Malwarebytes and Eset NOD32 with no issues of incompatibility. Any computers can run this security software. It’s backward compatible, even Pentium 4 can handle this. When it comes to Operating System it can support Windows 2003, 2008, XP, Vista and Windows 7. I haven’t tried it yet on Windows 8. Personally, I’ve been using this for almost three years now. It does a good job in stopping autorun viruses, preventing it from multiplying inside my PC. 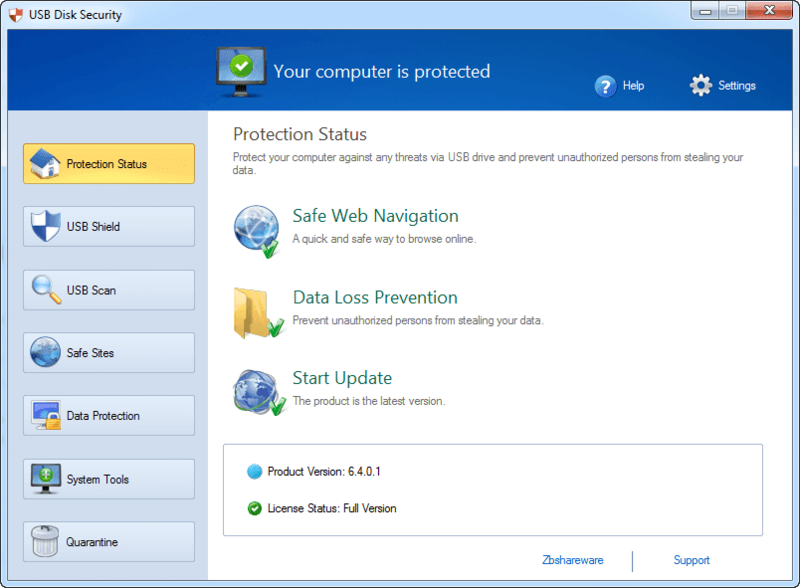 The extra features like the Data Protection and System tools are of great help in protecting my PC extra miles. However, there are some viruses that it can’t detect, one of it is the shortcut virus, but both NOD32 and Malwarebytes caught it. USB Disk Security isn’t an antivirus alternative because it’s limited to autorun viruses, some trojans are able to break in. It’s more on complimentary security feature. Therefore, in conclusion, get USB Disk Security as your first line of defense. Then, a good antivirus such as Eset, Avira or avast, plus it with Malwarebytes to complete your computer’s 3 lines of defense. Have you tried USB Disk Security? Share us your experience. Your comment and opinion will be highly appreciated.